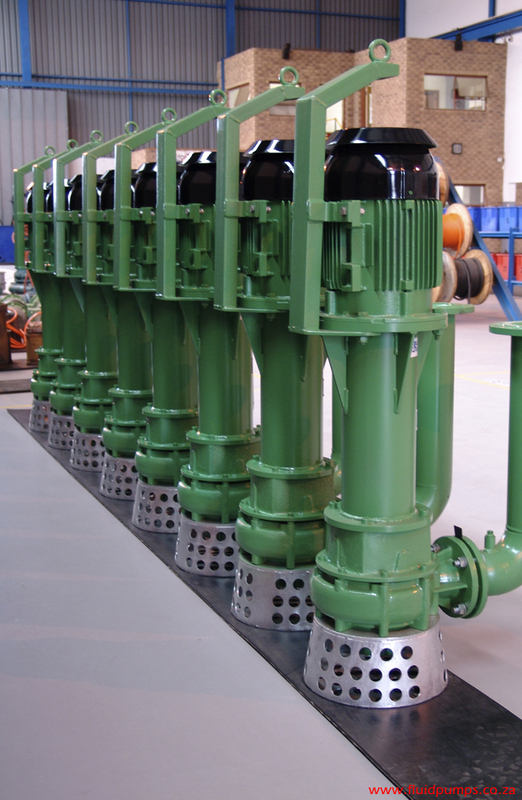 Fluid Pumps developed products to embody local conditions, focussing on the Mining- and Wastewater Sector. 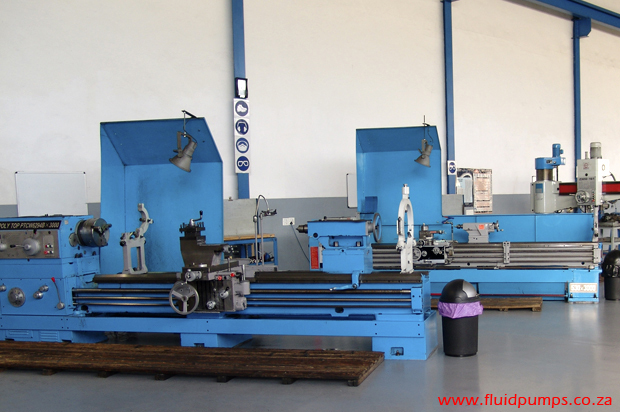 Fluid Products bear patent rights locally and internationally, which indicates its unique properties. A quality product starts with the knowledge to design a product in such a way that the pattern is easily producible. 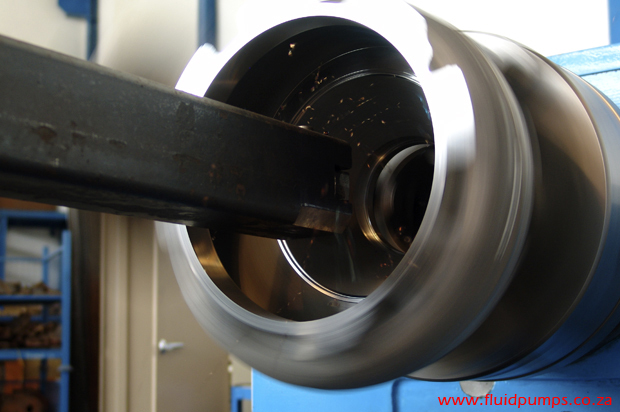 This will ensure that the foundry moulder can assemble moulds and cores without difficulty. Designing and drawings are done on Inventor and Auto Cad Software by an in-house Draughtsman. 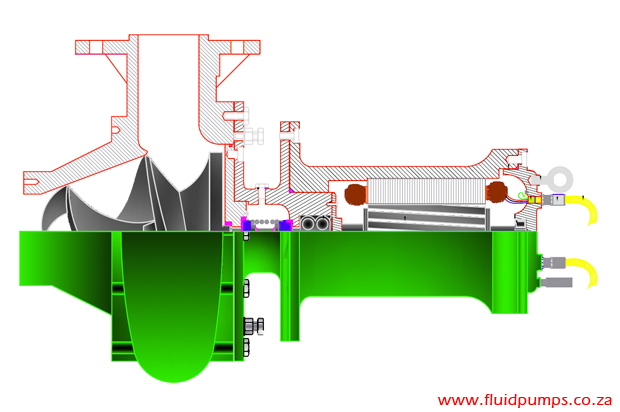 Fluid Products are invented and designed in such a manner that it is easily maintainable by repairing or replacing parts without a complete unit strip down. Multiple parts are interchangeable, resulting in cost saving. 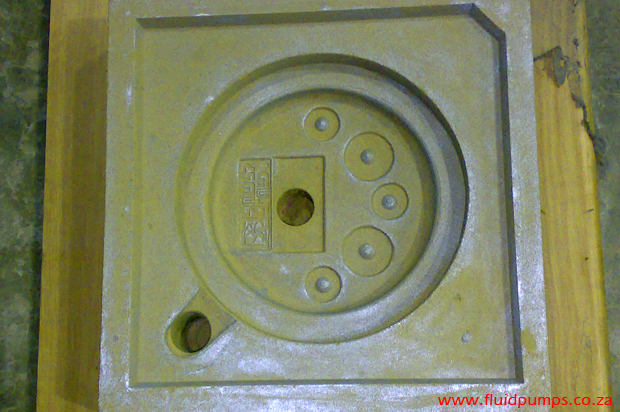 Maintaining quality of a product starts with a high quality casting which makes up 50% of the end product. 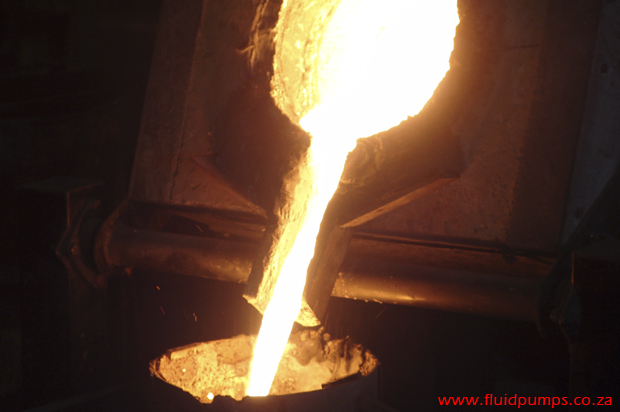 Fluid Pumps realised that the only way to ensure quality is by starting its own induction furnace foundry. 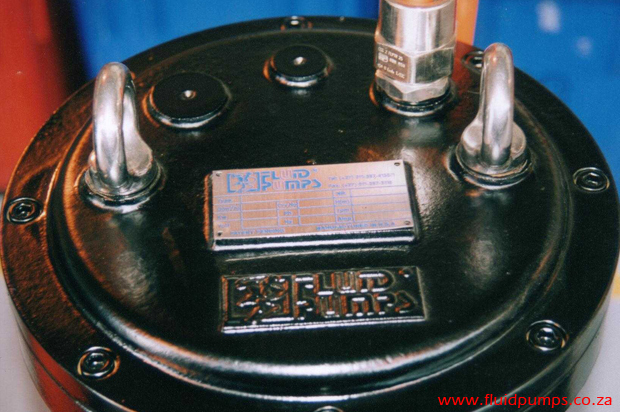 The foundry has a capacity of one ton with a five hundred kilogram induction furnace. A Spectrograph is used to analyse materials. 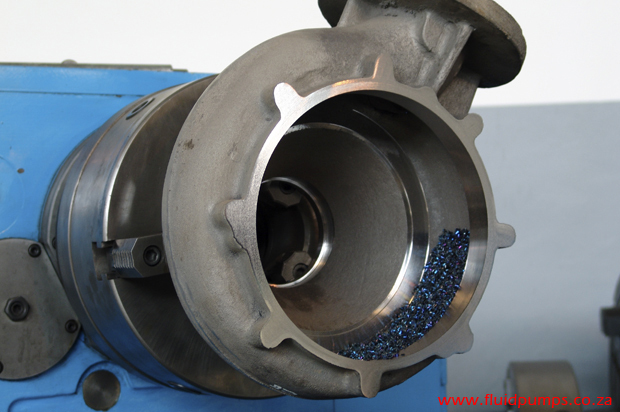 Fluid Pumps, with the help of a metallurgist and a laboratory, developed in-house materials which are used in abrasive applications. 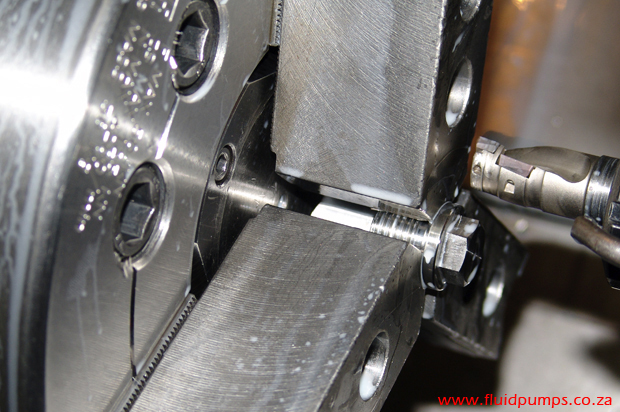 Fluid Products are machined in-house where the focus is on quality control. All parts undergo strict quality checks before it is released to stock. Our in-house inspectors are SABS approved and are examined every 3 years.